If only our furry family members could talk, right? 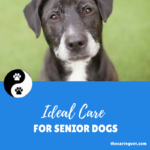 Then, we’d be able to ask them where it hurts, if it hurts, what they may have eaten (that we didn’t see) and any other questions that we have when our dog starts acting strangely. 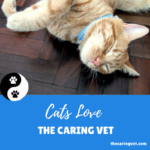 Your pet’s inability to speak, by the way, is why the pet parent is such an integral part of the health team here at The Caring Vet. YOU are our eyes and ears at home. Obviously, your dog’s not limping for no good reason. If you see him or her limping, or favoring one leg over another he’s in pain and should be seen by the veterinarian. Your dog limps for the same reason you might.. when one of your legs — or ankles or knees — is hurting. Your dog speaks…. dog. This means that he can vocalize, often in the form of whining or whimpering if he’s in pain. Look out for vocalizations that you don’t normally hear. 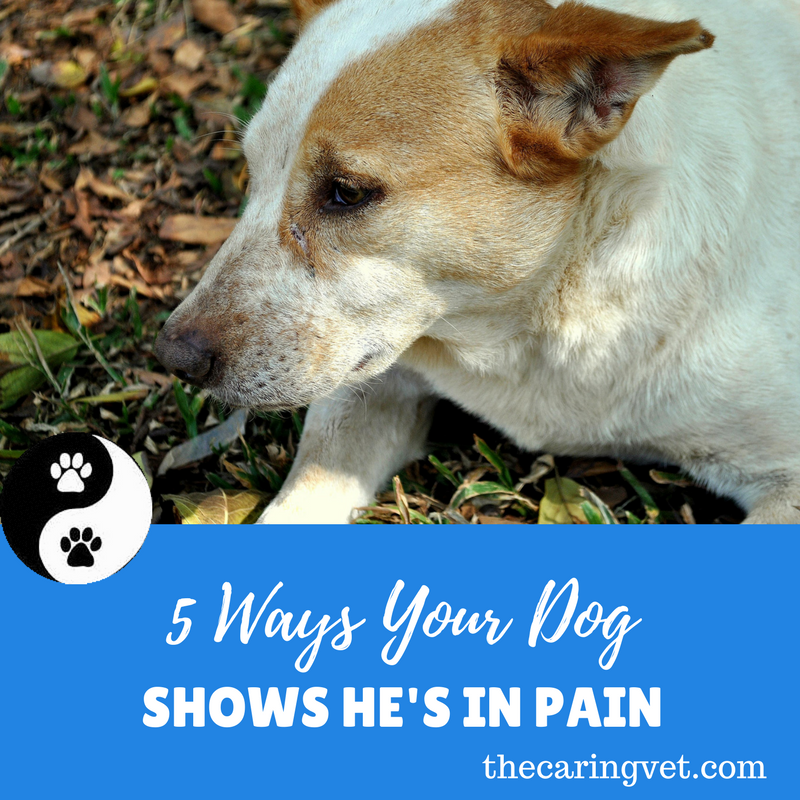 Any yelping or whining is a sign your dog is in pain. If your dog loses his or her appetite, it doesn’t mean they’re in pain… but it does mean something’s up. Many dogs do forego food when they are in pain, however, especially if they’re in abdominal pain or upset. If your dog’s not eating, he needs to be seen. Many dogs pant when they’re in pain. I’ve seen dogs panting from pain due to an ear infection, hot spots, sudden trauma and more. If your dog’s panting for no “good” reason (i.e. you just came inside from a mean game of fetch!) you need to pay close attention and give your veterinarian a call. If your dog is typically a couch potato (the good kind!) but is now acting restless… pay attention. 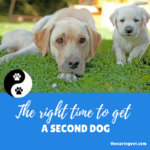 If your dog always lays in one spot in your dining room, but is now frequently seeking out other place to lay, or can’t seem to get comfortable, pay attention. If your dog typically loves to be groomed, but now shies away from — or winces when — being touched, pay attention. Any behavioral change can be cause for concern in pets and should be brought to your veterinarian’s attention. Keeping man’s best friend healthy and happy, of course, begins by being sure your dog isn’t in pain! Pay attention. He may not say anything, but your dog may be doing his best to communicate with you. 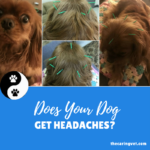 Does Your Dog Get Headaches?